And Prime Minister David Cameron even got drawn into the issue, saying more homegrown nurses were in the process of being recruited. There are more than 400,000 nurses working in the NHS and over 600,000 registered to work. The warning comes as the RCN’s annual conference gets under way in Bournemouth. Due to cuts to nurse-training places, trusts are being forced into relying on overseas recruitment as well as temporary staff just to provide safe staffing. Meanwhile, Mr Cameron said he did not believe the immigration rules would lead to a shortfall of nurses. “We have got a massive training programme for nurses at the moment, there are something like 8,000 more nurses in the NHS today than when I became Prime Minister. The training programme will continue,” he said. “But, crucially, we have an organisation called the Migration Advisory Committee and they advise us about which occupations to put on the so-called shortage occupations list, the ones where they fear skills shortages will develop. The Economist Intelligence Unit said any problems might be short-lived since there are now more nurse training posts in place and the Migration Advisory Committee has a system in place to identify skills shortages. And British Medical Association Dr Mark Porter, speaking at the doctor’s conference which is also taking place this week, also came to the defence of people from abroad who are working in the NHS. “What did we hear in the election campaign from politicians of several parties? “We were told immigrants are filling up our GP surgeries and our hospitals. Nursing shortages and spiralling agency costs have generated intense pressures on hospital finances. Calls by regulators for higher staff numbers following scandals such as mid-Staffs have resulted in higher demand for nurses at a time of limited supply. In effect, the RCN is saying the Government is shooting itself in the foot by pursuing a policy which could squeeze the supply of nurses even further. 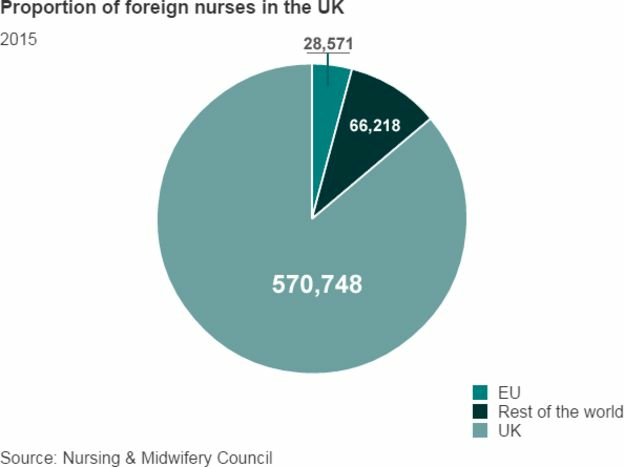 Making nurses from outside the European Economic Area quit the UK if they don’t earn enough could deter their compatriots from seeking work here at a time of rising demand for qualified nurses in most leading economies. 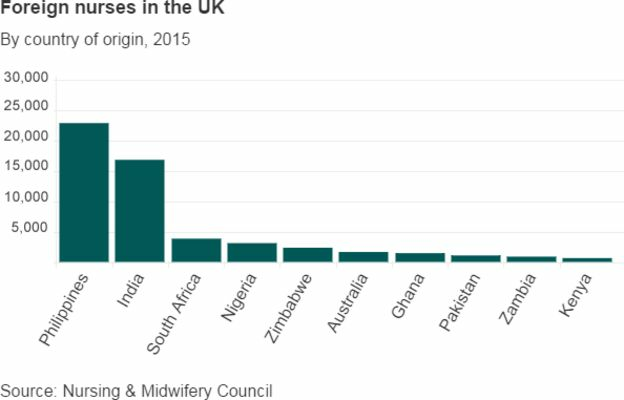 The other side of the debate is the suggestion that the UK should train more homegrown nurses and not rely so much on migrant staff. The tighter immigration rules do not effect recruitment from inside the EEA so there is still a supply of trained foreign health staff. The Home Office, responsible for immigration policy, and the Department of Health, anxious to ensure there are enough nurses, will no doubt be engaged in some full and frank discussions on this vexed issue.